The perfect starter kit for you, or a friend! 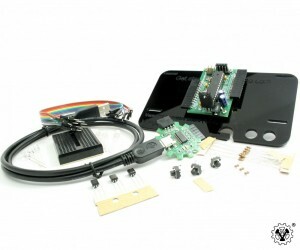 The Versalino Inventors Kit is the first Versalino kit that is truly designed for anyone who is interested in learning about electronics, and knows what a computer is. We have received a ton of feedback over the last couple years, and we realized that we could make the whole process a ton easier if we re-invented the way we approached the problem. As a result we designed the very website you are browsing (versalino.com). 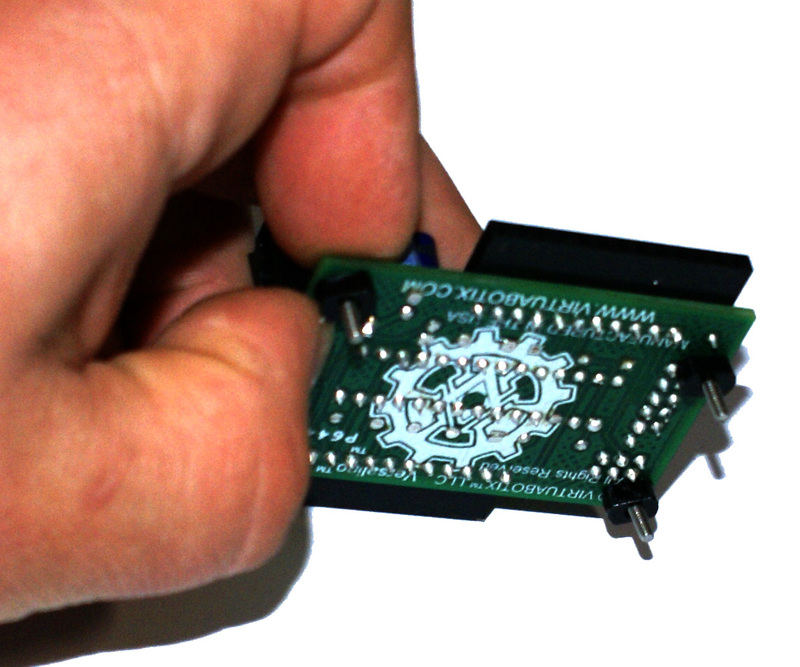 There has never been an easier way to get started in electronics, and we are super excited to share it with you! Now for the first time we can say with full confidence that even if you have never touched a microcontroller, or other electronic device before you will be able to get the Versalino Inventors kit running and have your first project completed in a matter of hours (or less if your a champ :D). This is a top view of the Versalino Uno PCB design. At its core the Versalino Inventors Kit Nerdly Version has a Versalino Uno. The Versalino Uno is our premiere Prototype to Production platform, and is a completely redesigned platform that is compatible with the Arduino IDE (see next section for more details), and based on the same chipset as the Arduino Uno (the bootloaded Atmega328P-PU). Using the Arduino bootloader and programming methodology it is possible to load any sketch that works on the Arduino Uno onto the Versalino Uno or Versalino Nano. What that means is that on top of projects specifically designed for the Versalino, you now have access to hundreds of thousands of projects that folks have shared for the Arduino Uno! You get all of the projects while still benefiting from the reduced size, cost, and improved pinout of the Versalino, so what’s to lose? 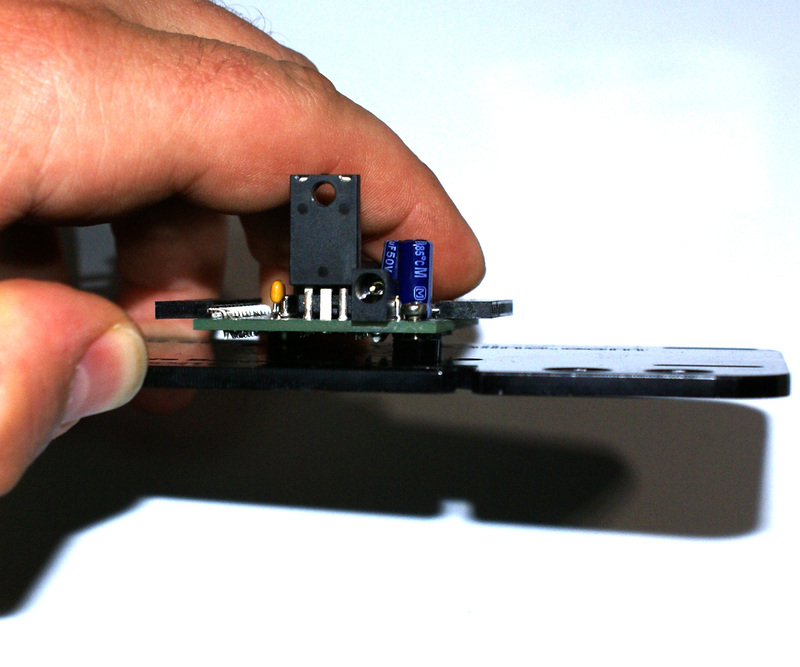 The Versalino BUS structure also allows the shape and size of your Versalino board to change without losing the compatibility with your Versalino loadboards. That is why every board that has been designed for the Versalino Nano is 100% compatible with the Versalino Uno (even though the Versalino Uno is twice it’s size). Finally with the Versalino Uno you get an extra COM port! The COM port on the Versalino is designed to provide you with plug and play Bluetooth compatibility with the Virtuabotix BT2S Slave and Virtuabotix BT2S Master, this is an extremely useful, and cost effective way to convert your project from a wired to a wireless solution. 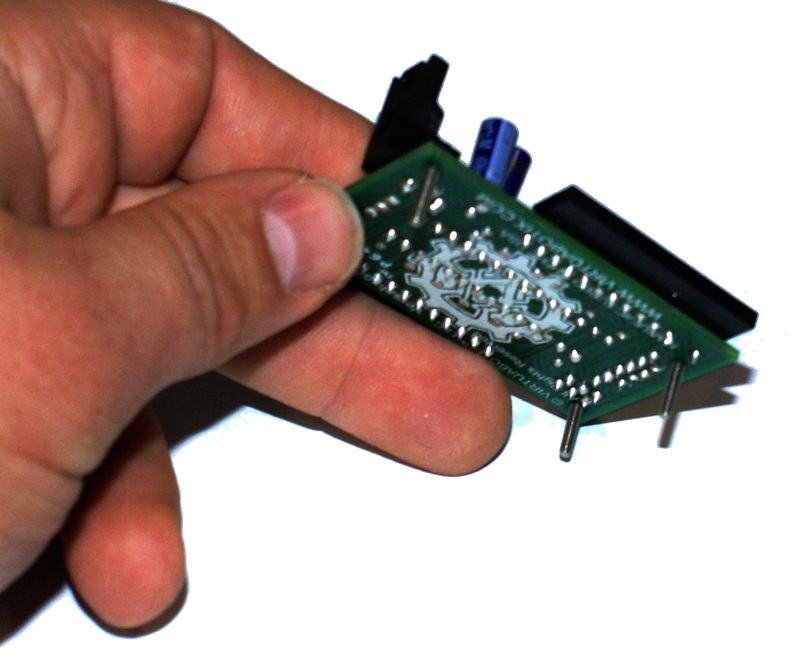 This additional port structure allows for the design of many serial communication devices that can be added to your system without interfering with other boards. With the Versalino Inventors Kit you have the distinct advantage of knowing you have everything you need to get started with your next project, so let’s keep going and get your first project rolling! In the steps below you will be mounting the Versalino Uno to your Versalino Inventors Kit board. What pieces do I need to put the Versalino Inventors Kit together? Everything you need for this step can be found in the bag labeled Step 1. You will be using 3 Bolts, Nuts and Risers on this part of the guide, keep the other 4 sets somewhere safe for later projects. They are included for the optional mounting of additional Versalino Loadboards like the Versalino MotorMaster or Versalino Sense & Move. 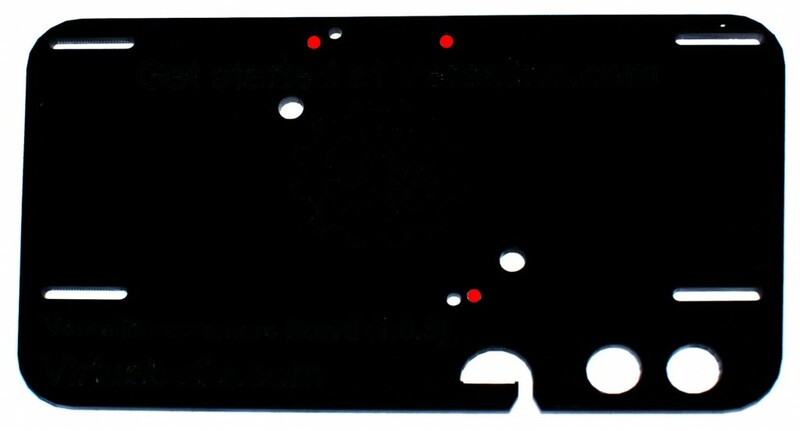 This is a top view photo of the Versalino Inventors board V 1.0.3 with the holes for the Versalino Uno marked in red. Looking at the Versalino Inventors board you have probably noticed that it has two extra mounting holes than the Versalino Uno, this is because the Versalino Inventors board was designed to work with bot the Versalino Uno and the Versalino Nano. Because of this you will want to make sure that you use the mounting holes for the Versalino Uno (which are the holes to the far left and right). In the image above the red dots show the wholes you should use for the Versalino Uno, you should also make sure that you mount the board with the power connector facing down toward the cable slot and the 9V battery mounts on the bottom left of the board. NOTE: If you happen to be using the Versalino Nano with the Versalino Inventors Kit then you will want to select the two mounting holes that are not highlighted in red. The slot style mounting holes on the sides should allow you to still use Versalino Loadboards despite the Versalino Nano's smaller size. Put the mounting screws in place before moving forward. 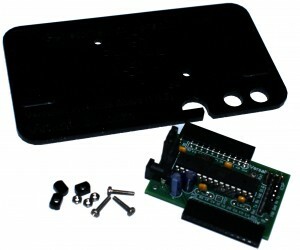 The risers are the small black oval shaped pieces of acryclic, they are designed to reduce strain on the board, and allow the Versalino to be mounted evenly. If you choose not to use them the board may lay at a slight angle due to differences in pin lengths through the bottom. You will want to put the bolts into the Versalino Uno first, once you have done so you will want to flip the Versalino Uno onto its side and put the risers onto the bolts (the risers go on the underside). NOTE: We found it easiest to put the risers on sideways, but some folks prefer to put the first set onto the board and slide the other risers underneath before putting the bolts in. As long as there are risers and bolts in the right holes then you can consider any method that will achieve it, and as always don't hesitate to let us know if you find an awesomer way to go about any steps you find. Holding the Versalino Uno sideways to get the risers on seems to work the best. Now push the bolts through the laser cut Inventors Kit board in the places indicated in the previous step. Once in place you should be able to hand tighten the Nuts onto the ends of the bolts on the bottom side of the Versalino Inventors Kit board. This is how far your Versalino Uno board will be elevated off of the Versalino Inventors Board with the risers in place. Once you have all three nuts hand tightened on the bolts you can further tighten them with your Phillips screwdriver. Optionally you can also add Lock Tight or any other bonding agent to keep the bolts from coming loose, but I would only recommend that if you know you won't be doing any projects that would require you to pull the Inventors board off for a bit. We discussed it briefly in an earlier step, but I just wanted to make sure you were aware that the extra hardware and the long slot cuts are mean't for the mounting of other Versalino Loadboards like the Versalino MotorMaster or Versalino Sense & Move, and that they are connected in much the same way as you just connected the Versalino Uno itself. Now that you have everything mounted you are ready to go ahead and get all the software and drivers installed in the next section of this guide. Just scroll down to keep going. Now for your very first project on the Versalino Inventors Kit! Make sure you have your Versalino Uno, and Versalino FTDI ready before proceeding. This is a picture of the Versalino FTDI connected correctly to the Versalino Uno. Once you are satisfied with the setup you can plug it into the Versalino Uno/Versalino Nano. Make sure that the pins of the Versalino FTDI match up with the pins on the Versalino Uno/Nano PGM port (I.E. match G pin to G pin, V pin to V pin and so forth). If you have it lined up correctly the voltage selector will be facing toward the outside of the Versalino board. NOTE: First disconnect the USB from the Versalino FTDI before plugging anything into the Versalino BUS. The illustration above shows how to identify which pin is ground and which goes to Vdd or IO pins. If you are not familiar with the LED (Light Emitting Diode), then let me explain a little bit about it's operation and wiring. The first thing you should know is that the LED is in fact a Diode which means among other things that it only allows the flow of electrons in one direction. This means that to get the LED to light up we will have to plug it in with the correct polarity. An easy way to determine which side of the LED is supposed to connect to Ground, and which is supposed to connect to Vdd or your IO pin you can actually look at the length of the LED leads (which means the pins that come off of the LED). The shorter of the two pins is always ground, and the longer goes to the IO pin or VDD. If your leads have been clipped you may have to check with your manufacturer on what the notch indicator on the LED body means, some LEDs have reverse notch indicators, you shouldn't assume that your LED is the same as another. If you can see inside your LED however the larger of the two elements is always ground so you may be able to tell them apart that way. (Alternatively you can try connecting the LED in both directions and pick the one that works 😀 ). Note: If you are using a high powered LED, or more than one LED you should put a resistor in series to prevent too much current from being drawn from your Versalino, but with a single LED that draws 20 mA or less you can safely connect it directly to your IO pin (IO pin means input output pin). This is the way your setup should look once you have everything connected correctly. Now that you know which pin is Ground and which pin goes to the IO pin you should be able to plug the short lead into GND on BUSA and the long lead of the LED into D1 of BUSA on the Versalino. Now that everything is plugged in you can reconnect the USB cable, and watch as your LED begins to blink just as you told it to. Feel free to bask in the mysterious glow as long as you see fit, and congratulations on finishing your first project! Congratulations, now you know how to load a sketch onto the Versalino Uno. You will be amazed by the world of devices and projects that you have just opened up. We can’t wait to see what you can achieve with the Versalino in your toolbox! Hello Flaviu!I might be able to help you, but I need to know what kind of sensors you have. Is it a cemibnod temperature, humidity and pressure sensor or are they separate? You need to find the part/model numbers. My temperature sensor is a DS18S20 digital temperature sensor. Could you give me more details about the error you are getting during compile so I can help you with it? Maybe if you include a screen capture of the Arduino IDE I can tell you how to fix the problem. Looking forward to hearing back.